The rail scene during 2003. Please remember that all photographs in this collection are the copyright of myself and therefore should not be published elsewhere without permission (See front page). 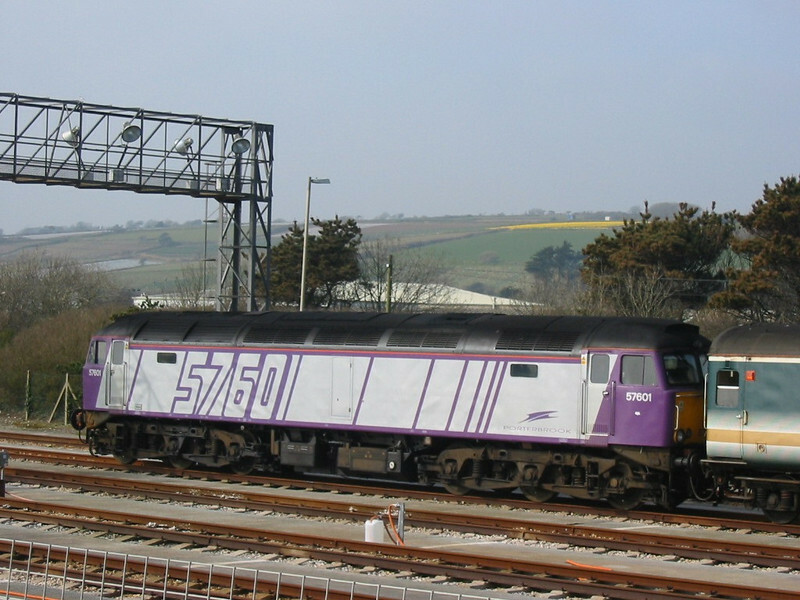 Portebrook's class 57 (57601) stands at the head of the sleeper stock in Longrock Depot - 23 March 2003.